So, it’s time I wrote down Part II of the 4 B2B Marketing Conferences To Attend in 2018. I hope I managed to sufficiently convince readers that the marketing conferences listed in my first guide (CES, Sales Innovation Expo, Saastr and Dreamforce) are well worth their time. For those who did attend these B2B marketing conferences (Dreamforce to still come up), I hope you had as much luck as I did in terms of not only sales but also valuable networking. That’s what it boils down to, doesn’t it? Networking. Yes, every company invests in events and conferences with the hopes of scaling their sales. But sales should not be the only bottom line of your event strategy. Events and marketing conferences are a great way of meeting people, learning what’s happening in the market and generating fresh ideas for your business. Another important point to mention here is that even if your first conference did not yield the results you were wanting, you should not give up. Maybe you should tweak your event strategy or maybe your offer wasn’t relevant to the attendees. Also consider that it can take anywhere between 2 to 6 months for the prospect to turn into a paying customer – remember, the sales cycle varies based on your product. With attendees from over 70 countries, you have nothing to lose by investing in this conference. Send your marketing team to learn a thing or two from expert bloggers, global brands, advertisers and online publishers. As far as B2B marketing conferences go, this one is the best of the lot. What’s more, if you opt for a sponsorship program, the team behind Affiliate Summit will also assign a networking manager to you. His/her sole job will be to arrange meetings for you during the event – a win-win for marketing and networking! The basic networking pass starts from as low as $249. Seems to be like great value for money! Traveling the world and meeting new people – that’s my passion. Events such as the Growth Marketing Summit offer me the opportunity to combine business with pleasure in the best possible way. With a CTA like “100% knowledge – 0% blah blah,” the Growth Marketing Summit team means business. With experts from giants like Facebook, Booking.com, Unbounce etc. speaking at the conference, you know you’re in the right place to network and learn. If this is something of interest to you, then you should get a rush on booking your pass – at the time of writing this, they only had 111 tickets left at €980. As far as B2B marketing conferences go, I believe this is one that you should not pass on. 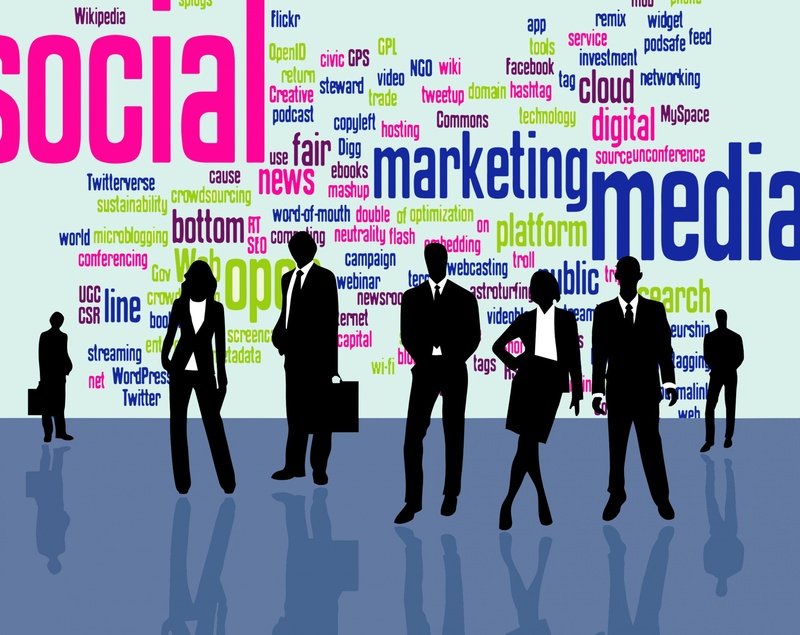 The future of marketing is shaping up to be greatly tech based. If you agree with this statement, then you have to check out this marketing conference. From the long list of b2b marketing conferences happening around the world, MarTech is a name that not many will be unfamiliar with. This event has everything on marketing, technology, and management under one roof. What’s truly great about this event is that the MarTech Program Chair Scott Brinker handpicks the speakers for each event. Attendees include senior marketing, technology, and digital executives who your team can network with and learn from. Price of admission seems to start from $59 only! The B2B Marketing Forum is a conference wholly focused towards B2B marketers and educating them on crucial trends and strategies in key areas such as demand generation and content marketing. The 3 days long conference has different keynote speakers and sessions covering important topics such as “Your LinkedIn Content Marketing Tactical Plan” hosted by Alex Rynne (Content Marketing Manager from Linkedin) and Chris Wilson (Inbound Consultant Hubspot) – info taken from B2B Marketing Forum 2017. Imagine networking with and learning from such experienced professionals. 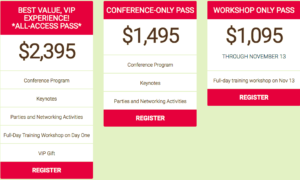 It’s definitely worth the price of admission ($1495 for the conference only pass). Of all the B2B marketing conferences out there, you can rest assured that your B2B business won’t take a back seat to retail businesses or experiences. 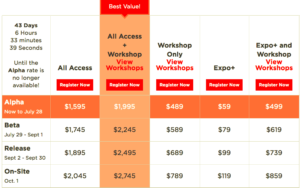 You can experience all that this marketing conference has to offer, starting from $1095 (for the workshop only pass). If you think about it, you cannot put a price on training and educating your team. Any business is only as good as you and your team. Keeping them on their toes is now more important than ever, especially in this tech and data-driven B2B world. Overall, traveling the world to meet new people, expanding your circle and learning throughout the journey is something that every CEO and his/her team should invest in. B2B marketing conferences are something that delivers both – awareness of the real world and upcoming trends combined with networking from people all over the world. And don’t forget – if you’re attending any of these conferences, I would love to meet with you. Just shoot me an email at noman@cloudlead.co and I’ll get back to you.